Mustapha C.E. Yagoub received the Dipl.-Ing. degree in Electronics and the Magister degree in Telecommunications, both from the École Nationale Polytechnique, Algiers, Algeria, in 1979 and 1987, respectively, and the Ph.D. degree from the Institut National Polytechnique, Toulouse, France, in 1994. After few years working in industry as a design engineer, he joined the Institute of Electronics, Université des Sciences et de la Technologie Houari Boumédiene, Algiers, Algeria, first as Lecturer during 1983-1991 and then as Assistant Professor during 1994-1999. From 1996 to 1999, he has been head of the communication department. From 1999 to 2001, he was a visiting scholar with the Department of Electronics, Carleton University, Ottawa, ON, Canada, working on neural networks applications in microwave areas. In 2001, he joined the School of Electrical Engineering and Computer Science (EECS), University of Ottawa, Ottawa, ON, Canada, where he is currently a Professor. He has authored or coauthored over 300 publications in these topics in international journals and referred conferences. He authored Conception de circuits linéaires et non linéaires micro-ondes (Cépadues, Toulouse, France, 2000), and co-authored Computer Manipulation and Stock Price Trend Analysis (Heilongjiang Education Press, Harbin, China, 2005). 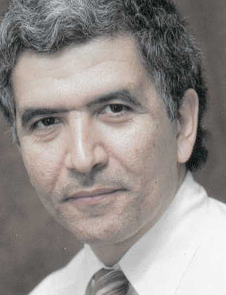 Dr. Yagoub is a senior member of the IEEE Microwave Theory and Techniques Society, a member of the Professional Engineers of Ontario, Canada, and a member of the Ordre des ingénieurs du Québec, Canada.